Hi Lovelies. One of the things I love about fashion styling is that allows me to create a different story than that of what the designer of the garments originally envisioned. I find that fashion designers tend to have a specific direction for the pieces they create due to personal attachment and this is what I try to challenge when working on an editorial project. It’s a great feeling when I succeed and the designers love my interpretation of their designs. 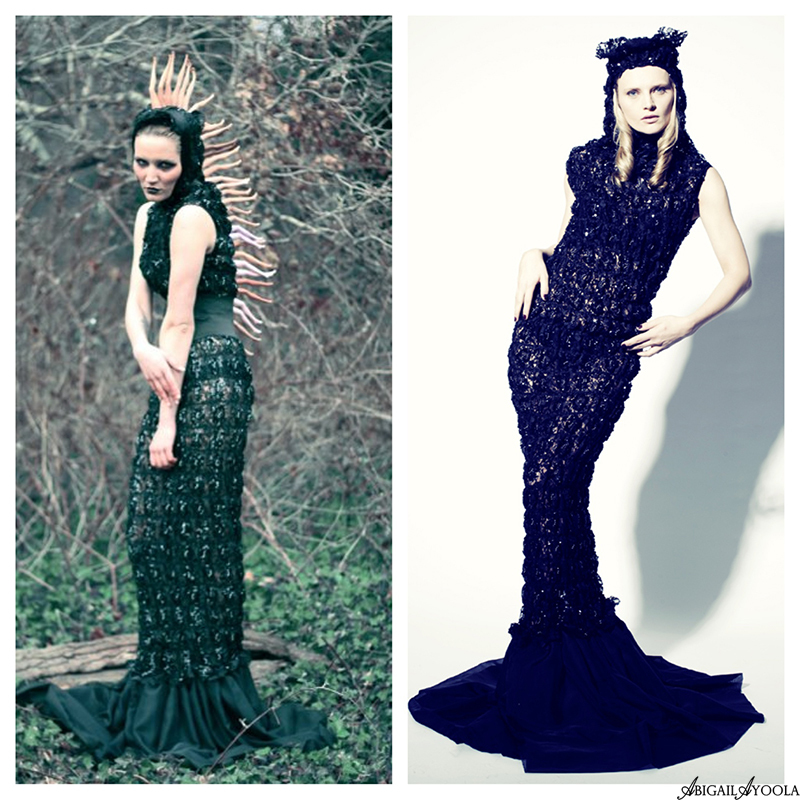 Take a look at some images of the same fashion pieces created by designer Anoosh Naghibi but styled differently by myself, the left by Anoosh and the right by me. We put on a challenge to see who would do a better job and I think Anoosh still owes me some money! Enjoy! Very interesting and beautiful dress! I loved the right styles in all of these photos.